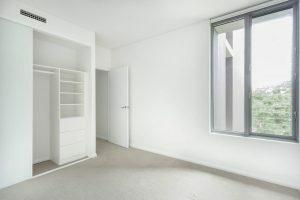 Is it time to Vacate Clean and leave your rental property? CKF Vacate Cleaning Perth Services provides end of lease cleaning service to ensure you receive your bond back. End of Lease Cleaning Perth are often refer to vacate cleaning, bond cleaning, rental property cleaning or end of tenancy cleaning. Our services are widely recognised by all major property management agency in Perth because of our outstanding service, quality and most of all, competitive price. CKF’s Vacate Cleaning Perth services offer a thorough vacate clean which meets all residential lease conditions. Our customer and property agency love our End of Lease Cleaning Services because we provide a complete peace of mind experience, high quality work and competitive rate. Therefore, do not worry if you are not sure about what is required to be cleaned. Being the end of lease cleaning experts, we know the standard and duties. We work on over 100 vacated property each month. Therefore CKF has long been a top choice for Perth customers. Please feel free to contact us for free consultation. We welcome your booking and any question related to your vacate cleaning requirements. While you can book directly, you are more than welcome to inquire about our service whenever the end date is for your lease. Please submit an enquiry or call 0416662071 now for free consultation. Alternatively, simply contact us via our facebook or contact page. We can also steam clean carpets as an optional extra. Offer a total care commercial carpet cleaning service. We pride ourselves on our professionalism and the outstanding results achieved for both our domestic and commercial clients.